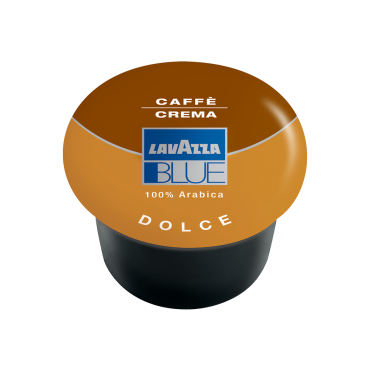 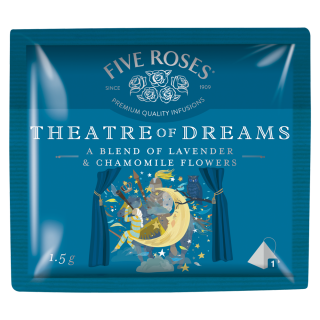 A delightful blend of lavender and chamomile flowers. 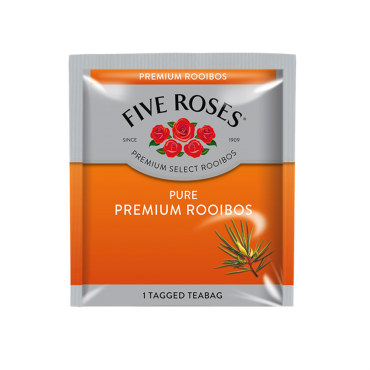 The premium Five Roses pure silk tea bag creates a flavourful and intense cup.  Each pack contains 20 envelopes. 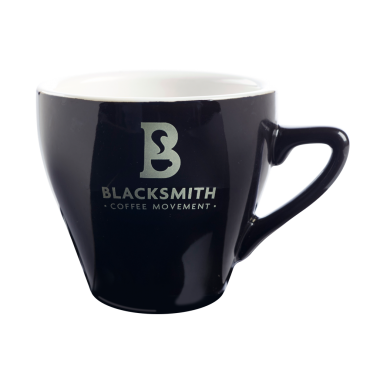 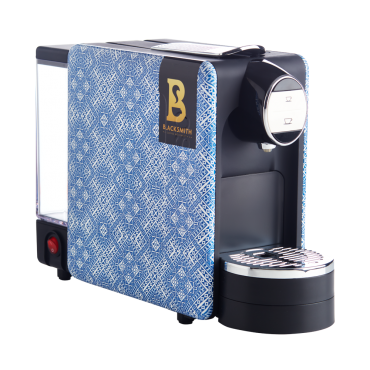 A refreshing and exotic blend of 100% Ceylon green tea with peppermint. 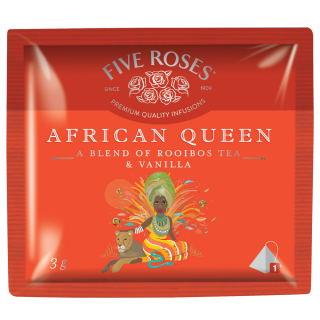 The premium Five Roses pure silk tea bag creates a flavourful and intense cup. 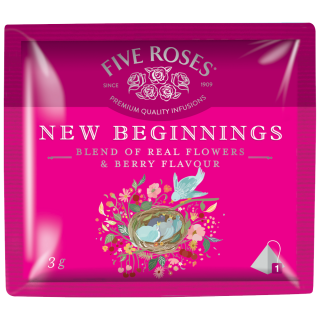 Each pack contains 20 envelopes. 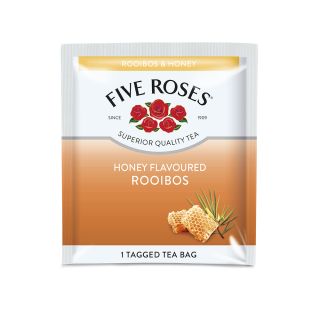 Five Roses brings you the classic rooibos taste with the pleasant addition of honey, in a conveniently sealed envelope. 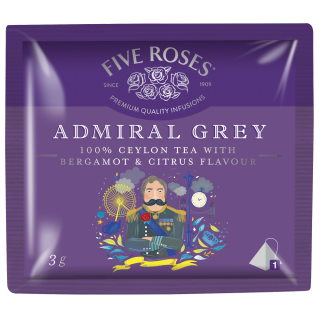 Each case contains 60 tea envelopes. 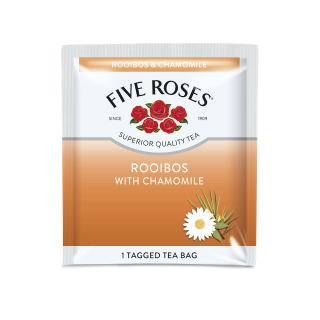 Five Roses brings you a calming taste of rooibos tea with the addition of chamomile, in a conveniently sealed envelope. 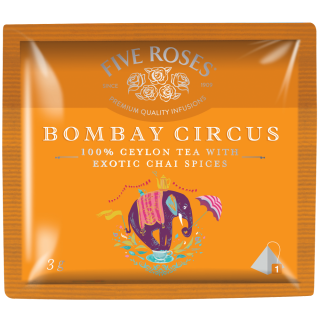 Each case contains 60 tea envelopes. 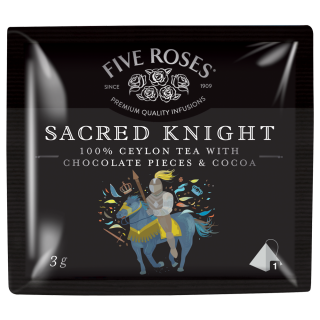 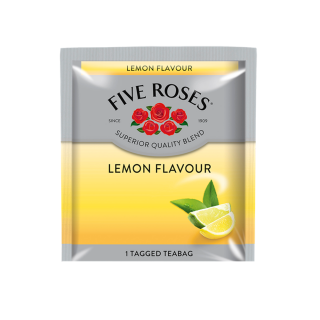 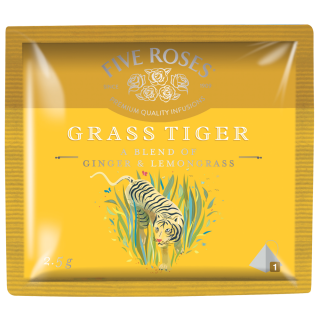 A black tea blend from Five Roses flavoured with the addition of lemon, in a convenient and sealed envelope. 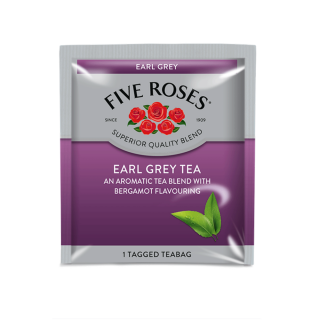 Each envelope contains one tagged teabag, available in a case of 60 envelopes.